How do I budget irregular income? 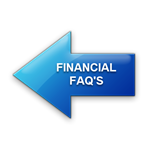 ​We often get asked questions about how you can possibly budget with irregular income such as bonuses, commissions, or self-employment income. Receiving income from self-employment, commissions or other irregular sources can be complicated because the income is unpredictable and varies significantly from month to month. Most people in this position feel it’s impossible to plan ahead and budget. So many make the mistake of spending whatever money they earn, as they earn it. They set their lifestyles according to good income months. Then tougher times come along, and they starve during these lean months, allowing credit card balances to mount, while hoping and praying for a good month to come bail them out. There’s a better way! There’s a much simpler, less-stressful way to handle this type of income. Consider yourself a “business owner”, meaning you essentially wear two different hats: employee and employer. As the employee, determine the lowest reasonable salary your family can live on based upon your budget. As the employer, pay yourself exactly that set “salary”, whether business is booming or struggling. Of course, the “salary” must be reasonable for the work you do. In other words, if you estimate your yearly income to be $48,000 ($4,000/month); don’t setup your monthly “salary” to be $6,000 per month just because that’s what your budget needs. In this case, revisit your budget to balance things out so you can take a realistic “salary”. Now we’ll review the technique. The key is to work toward funding a savings reserve from which you can draw the steady “salary” income you established above; regardless of whether business profits are plentiful or lean. For example, assume you can save $4,000 for this reserve, and your budget requires you draw $3,000 income per month. If you have a month when you earn $2,000, you’ll need to withdraw $1,000 from your savings reserve to meet that $3,000 draw. Then if you earn $5,000 the next month, still draw only the $3,000 and deposit the other $2,000 into your savings reserve. You’re essentially using this savings reserve as a buffer to smooth out your income. So no matter what comes in during any given month, pay yourself only the established salary amount. Allow any overage to sit in reserve, since it might be needed to cover your salary draw during leaner months. Now you know exactly how much your income will be each month, so you can set a budget. The biggest challenge for those with unpredictable incomes is to not spend everything they earn during higher income months, only to resort to credit cards during lower income months. Using the “draw” method will help smooth out that income. It all depends on your willingness to be disciplined and to exercise restraint when one month it appears your ship has come in. Don’t believe it. Stick to your plan. If at some point your savings reserve has a plentiful cushion (6+ months of “salary”), take an additional draw to fund other goals such as paying down debt, or saving for your kids’ education…or for a vacation!